Ok, ok, I know what your thinking – THIS ISN’T EVEN A PROPER RECIPE ASDFGHJKL WHAT IS THIS? But seriously, it’s the nectar if the gods. 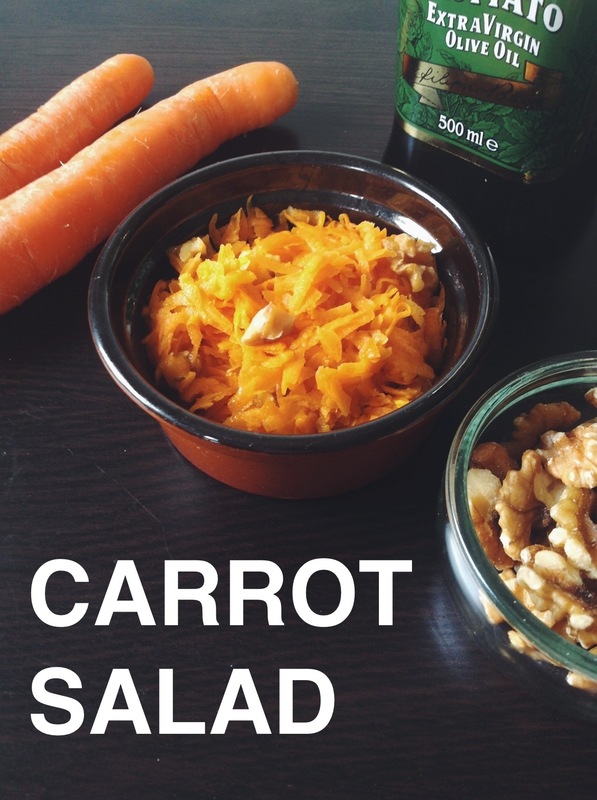 Even if you don’t like carrots, this will make you a changed man (or woman, but you get the jist). Seriously (how many times can I say seriously in one post?!?) add the walnuts, they give great texture! Add olive oil, vinegar then honey to taste. Add raisins and walnuts then lightly toss. 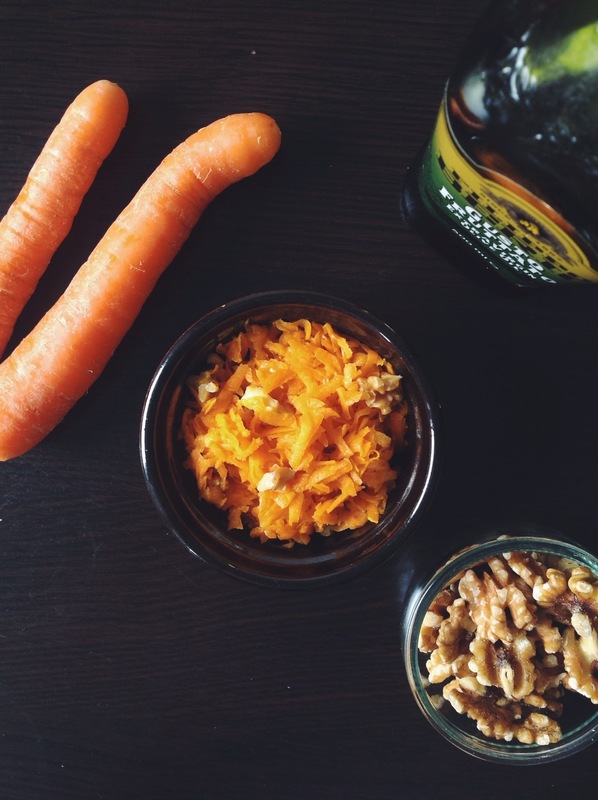 Garnish with walnuts before serving. 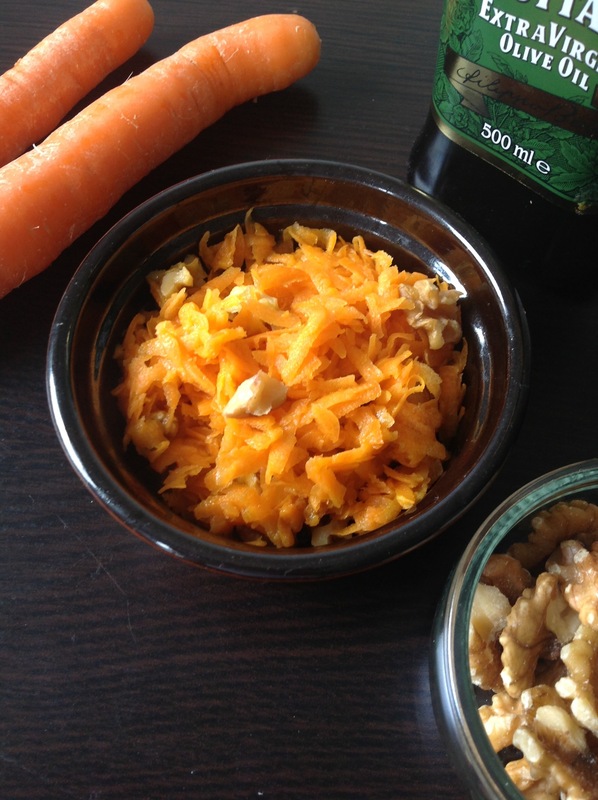 Honey and walnuts with carrot sounds heavenly !! A Delicious salad!! Prunes sound great – I don’t think that’s weird at all! They add great natural sweetness, I always use them in my oatmeal 🙂 glad you liked it!